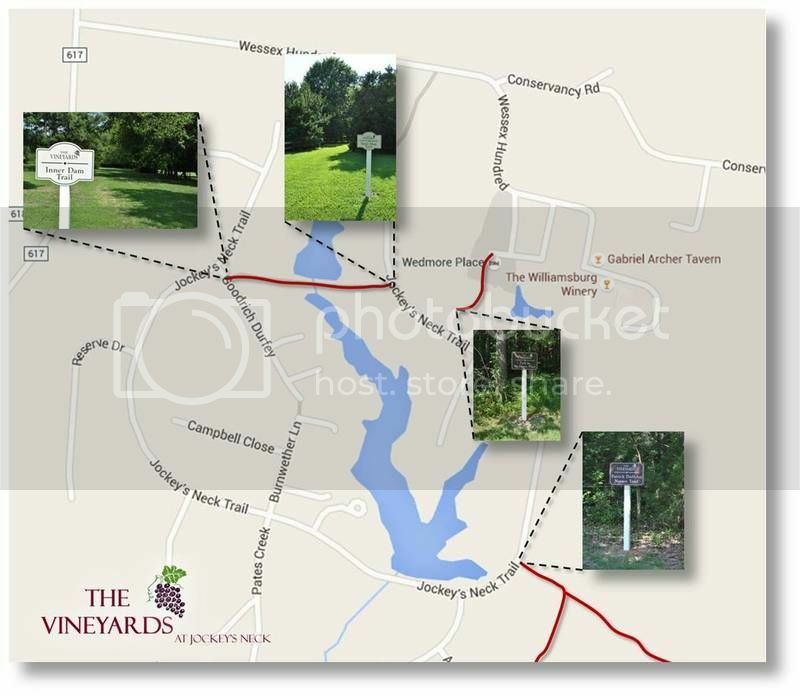 The Vineyards walking trails have now been made a bit easier to locate with the addition of the new signs this week. For those who have yet to see them, their locations are sown on the map above. While the path to Wedmore Place and the Williamsburg Winery has not yet been completed, it should be in the near future. This will allow for an easy stroll to the Winery and all of its amenities.